Who knew actor Ralph Fiennes would be so possessive of his Voldemort role from the Harry Potter movies? After all the hours sitting in a makeup chair, putting on a bald cap, and making his nose disappear day after day, you’d think Fiennes would be ok with never playing this evil character again—especially considering that he almost turned down the role in the first place. But it seems that the character really grew on the two-time Oscar nominee. As Screen Rant reports, Fiennes has made it clear that if Voldemort is ever needed in a future film, he's ready to come back. “Well, there are variants, aren’t there? Fantastic Beasts and things. 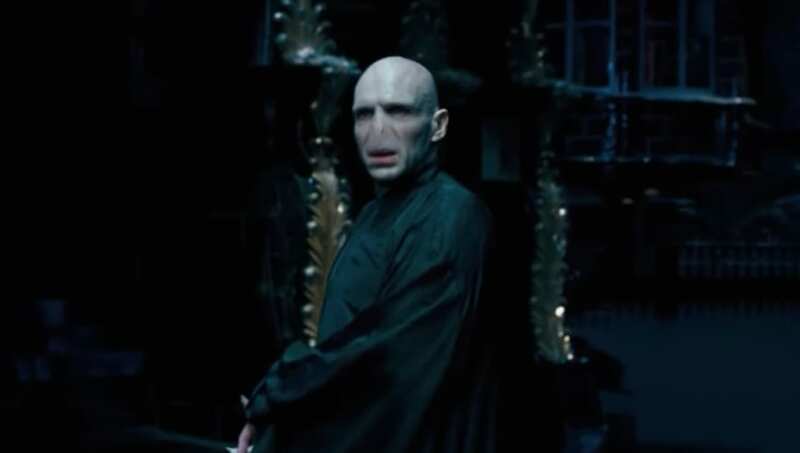 I feel a kind of affection for Voldemort," Fiennes said while appearing on Newsnight. "So if there was a world in which Voldemort came back, I would be very possessive about wanting to reprise that." Voldemort coming back was always a lingering danger in the early Harry Potter books and movies, as fans waited eagerly to see the Dark Lord reborn and return to full power. It was definitely worth the wait when we were finally able to watch Voldemort return toward the end of Harry Potter and the Goblet of Fire, the fourth book—and movie—in the series. As of right now though, it's uncertain whether Fiennes will ever get the chance to reprise his role. The only movies exploring the Wizarding World currently are the Fantastic Beasts films, which take place in 1927. Voldemort was born in 1926, so even if there would be a substantial time jump, Fiennes might be too old to play Voldemort. But at least we know that he is dedicated to the character, and that if Voldemort ever did come back, fans could count on him to jump right back into the role.